Alexandra Lange posted an interesting article about “Architecture Without Signs” in which she questions why architecture needs wayfinding signage? She argues that “… architecture needs to work without words. The building should point your way to its entrance without an arrow.” An interesting concept for architecture that has been built with this in mind, but more difficult for historical structures that do not have this design element built in, or if their space is not legible in the first instance! So supplemental graphics are always going to be a required visual element but hopefully not to the extent where they create distracting “visual noise”. Indeed finding a portal to a public building like an art gallery can sometimes be a bit problematic, especially if a building is approached by other more circuitous routes (e.g. from a train station or errant/random car park). 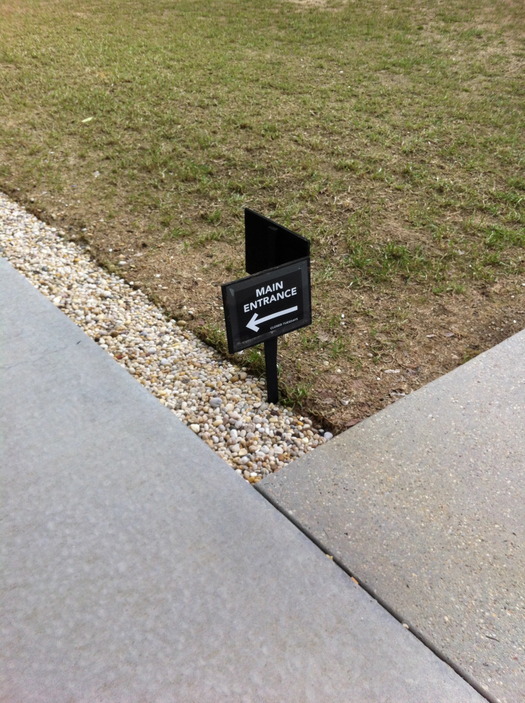 Also how does wayfinding work for those who are visually-challenged? Perhaps different (audio?) design approaches are required? Of course as a reader observed, “Bathroom wayfinding is the most important.” which suggests, that in an emergency, you don’t want to second guess your exit strategy.